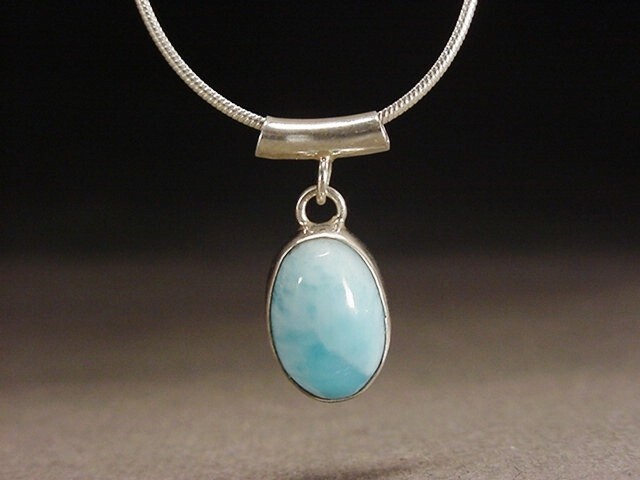 Sea blue Larimar from the Caribbean set in sterling. Tube bail on a 16" snake chain. Open back.